As the Upper Peninsula Animal Welfare Shelter gets no operational funding from national organizations or from tax dollars, the support from our friends and neighbors is what keeps the homeless animals in our community safe and healthy until they find their forever homes. Local businesses are also an important part of our community and friends of UPAWS, which is why we are excited to see the growing list of businesses that are committed to the campaign for a new shelter. To support the businesses that support us, UPAWS has created the Business PAWtners Program for organizations that invest at a naming level for the Imagine the PAWSibilities campaign. provide a designated space named after your business at the new shelter; be featured in the common area’s “Donor Wall”; include a check-presentation and press release; be highlighted on the UPAWS. ORG website. Include a personally created advertisement that will be featured on a rotating banner and on facebook, linkedin, pinterest, and twitter. These may also be printed and posted in your business and public areas benefit thousands of homeless animals for years to come. Gifts can be pledged out over five years and can be paid monthly, quarterly, or annually. UPAWS is getting closer to our goal to build an animal shelter that can be more than just an animal shelter- it can be a safe-haven for homeless animals and a hub for education and resources. If you give soon, your gift will be matched by a gift of $100,000 in memory of Joan Steindler- to date we have raised over $55,000! Go to upaws.org to find out how to become a Business PAWtner. Imagine an animal shelter that your business will always be a part of Imagine the PAWSibilities. Call 906-475-6665, email campaign@upaws.org to learn about our custom naming opportunities that can be pledged over 5 years. 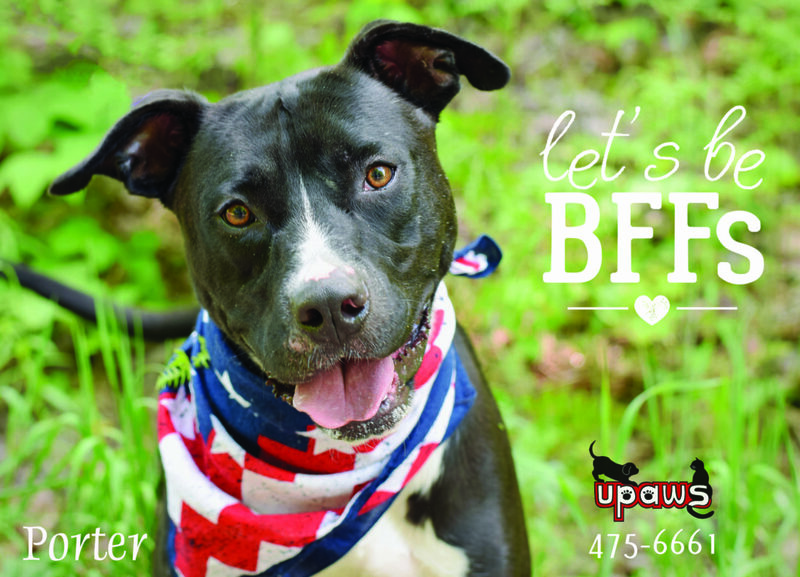 To give now, community members are encouraged to go to upaws.org, stop by the shelter, or send check or pledge to PO Box 968, Marquette, MI 49855 and mark it for the new shelter. Double the impact of your gift- give for the new shelter today and it will be matched by the Joan Steindler Memorial Match! Stay tuned with our Imagine the PAWSibilities Campaign in The Mining Journal’s Superior Pets. • Porky is a male plot hound, male, 5 years, 1 month old. • Miami is a female domestic medium hair, 4 years, 11 months old. • Cider is a female domestic shorthair, 4 years old. • Gizmo is a 9 to 10-year-old male puggle. • Princess is a 5-year old long haired gray cat. • Minnie is spayed and up to date on all vaccines. A sister to Tink. • Tink is spayed and up to date on all vaccines. A sister to Minnie.